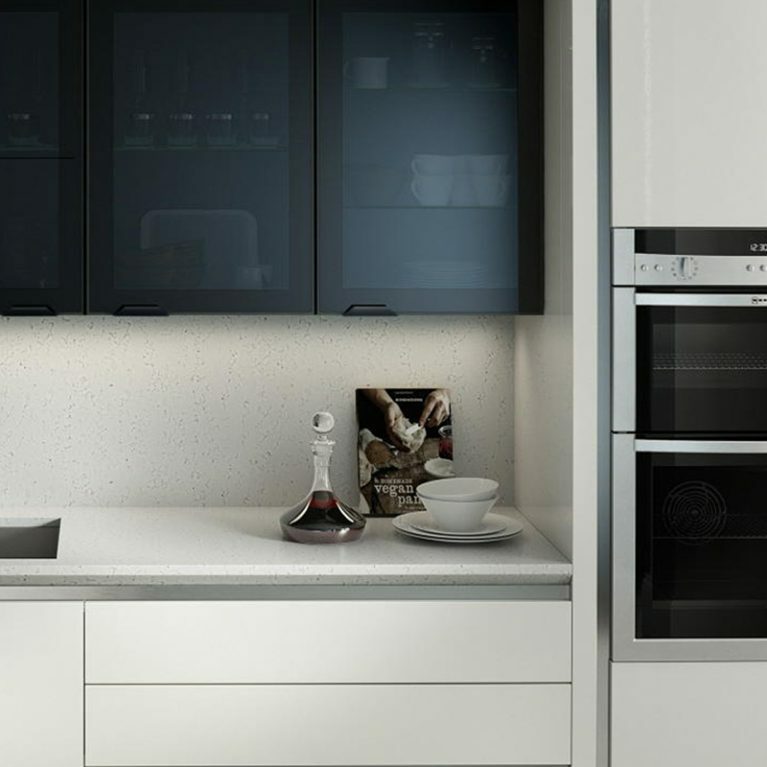 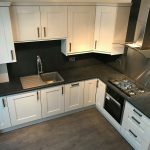 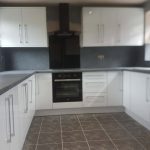 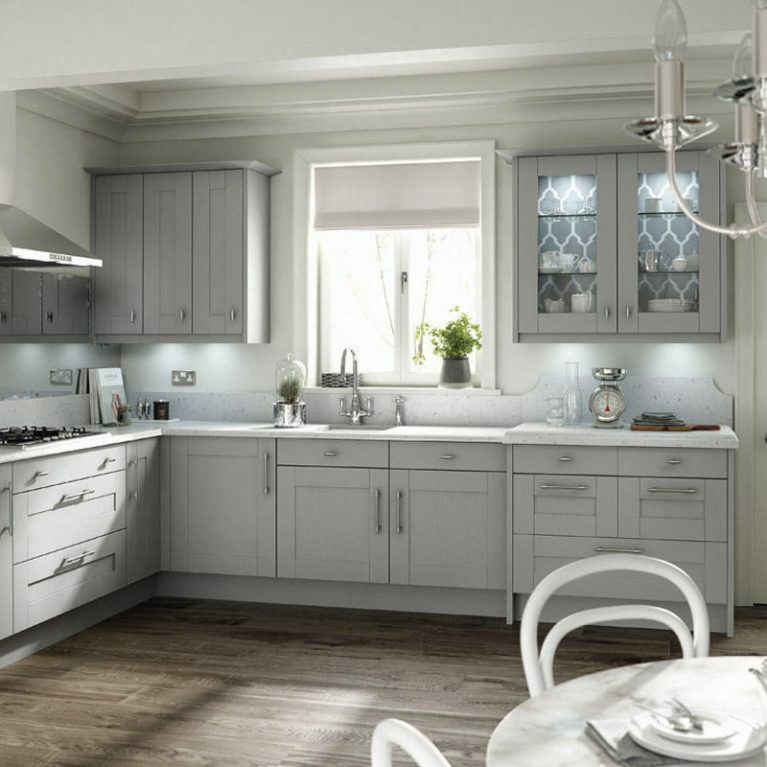 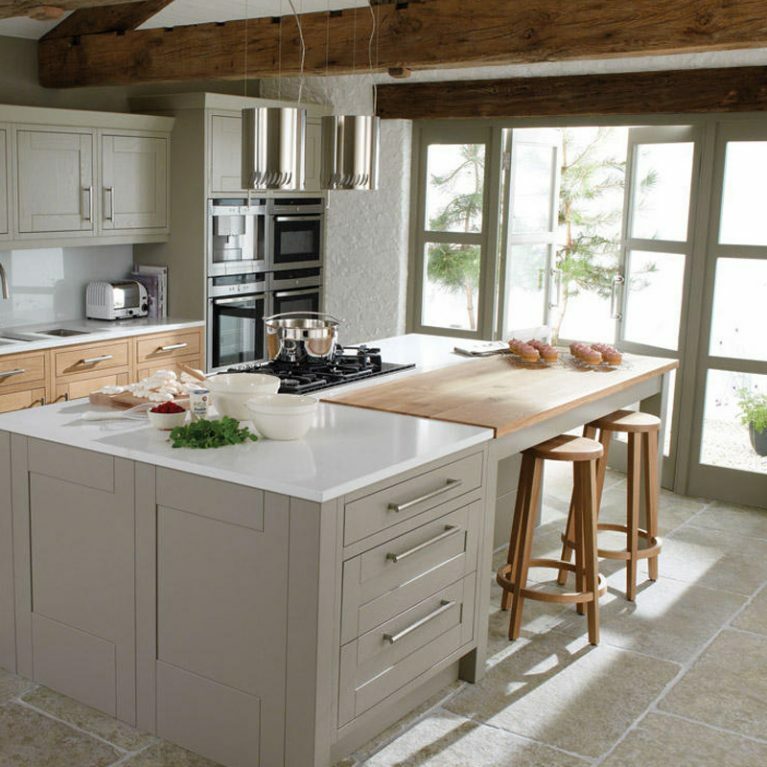 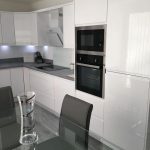 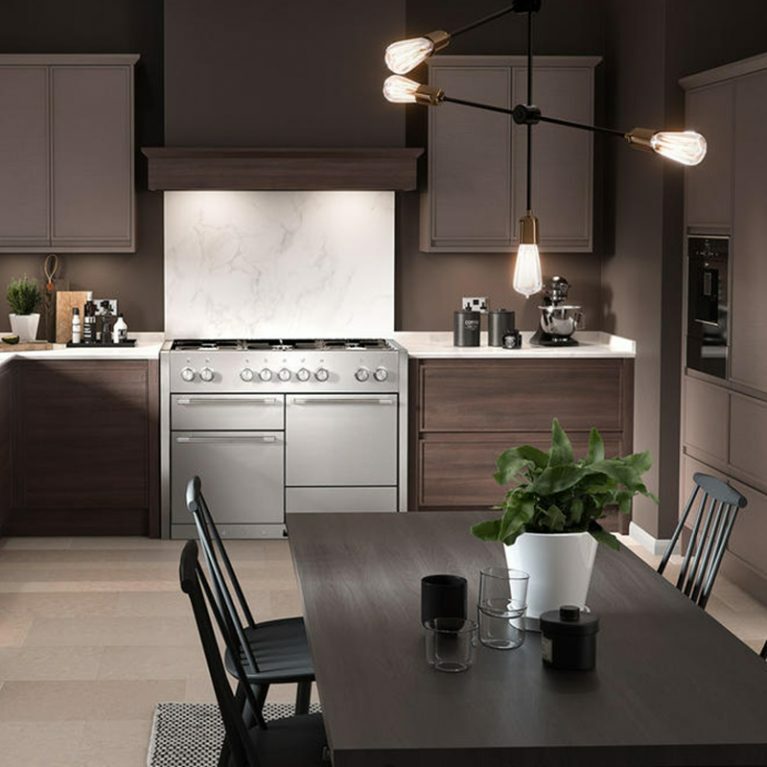 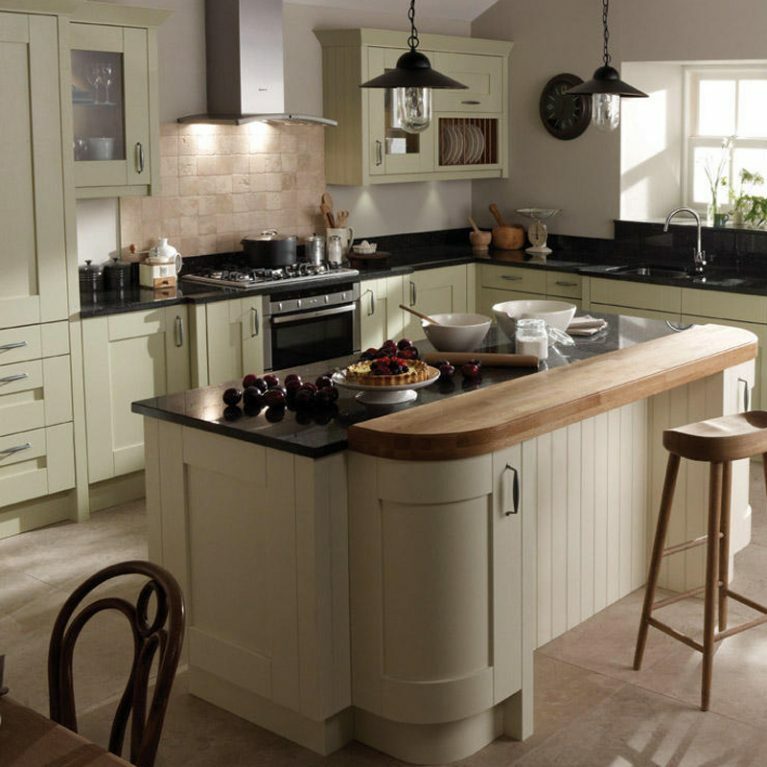 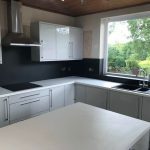 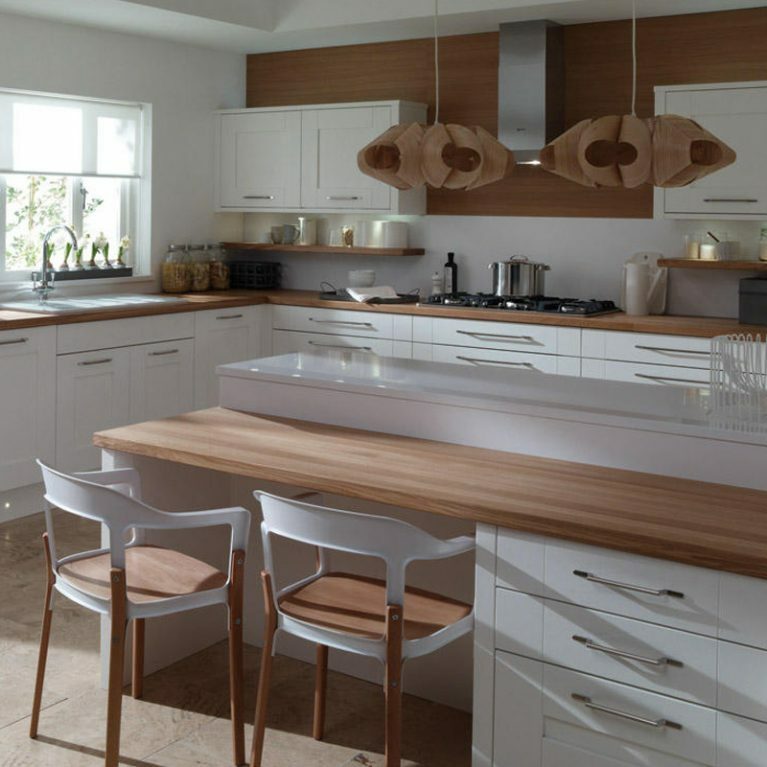 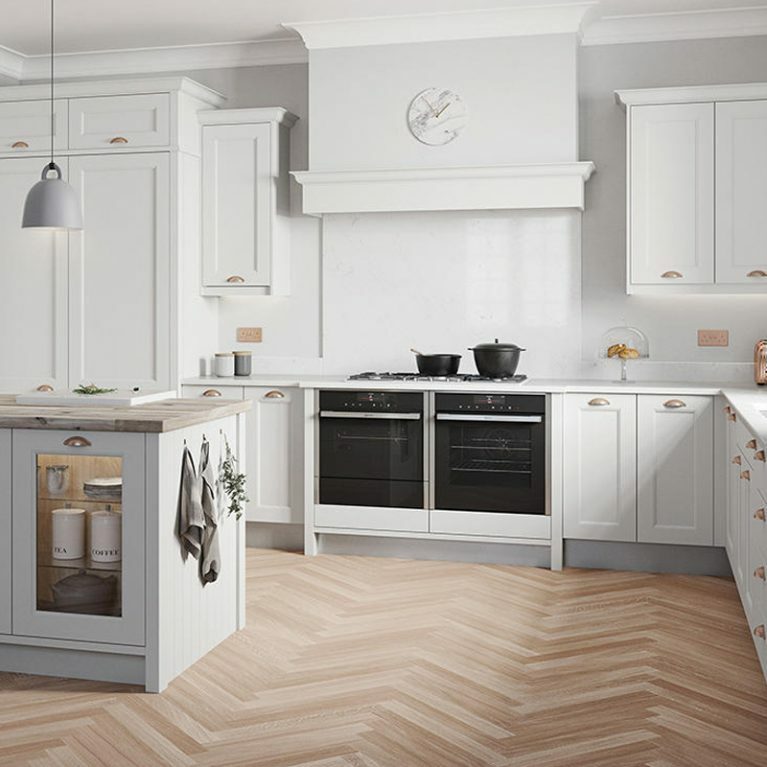 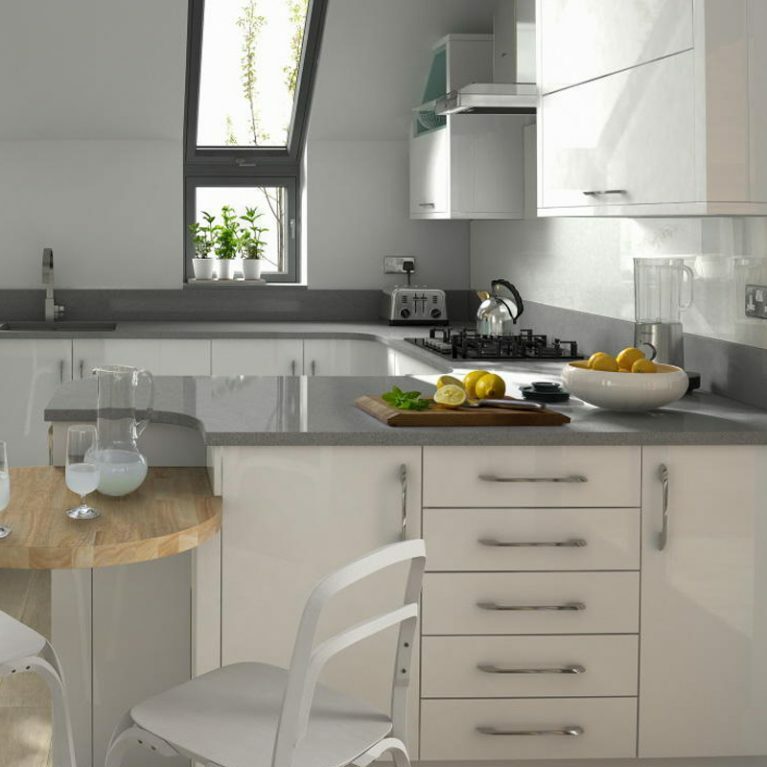 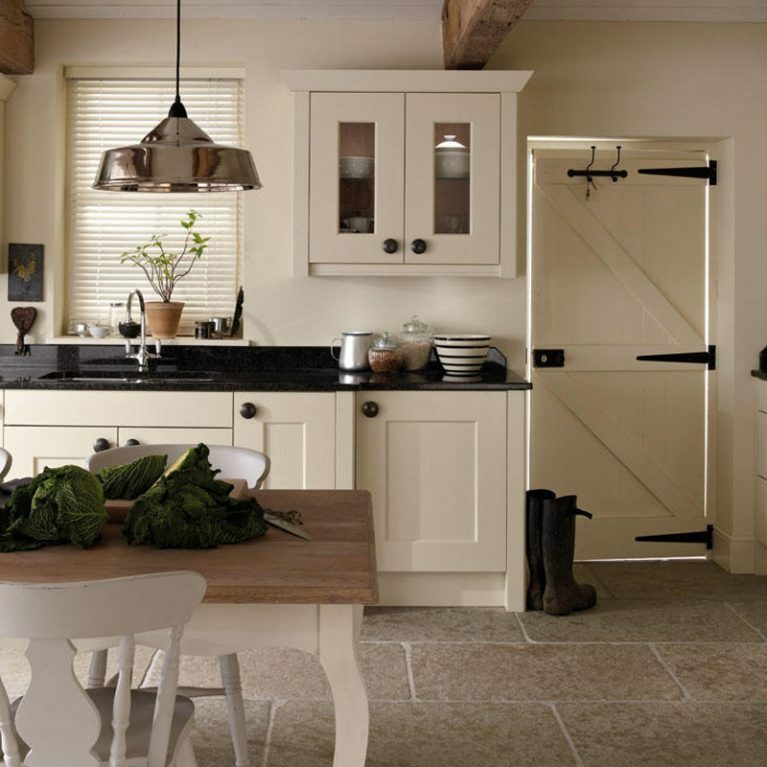 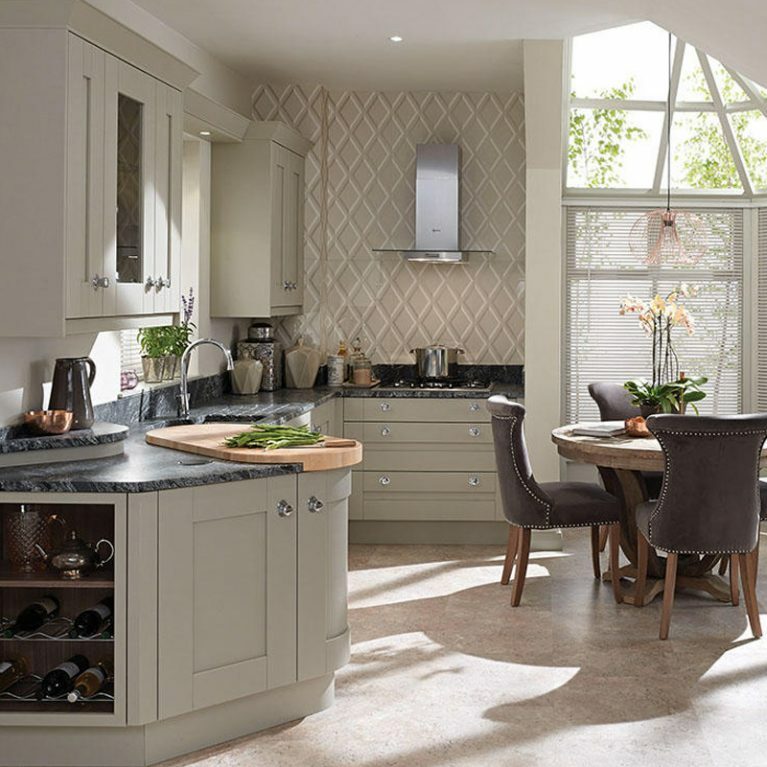 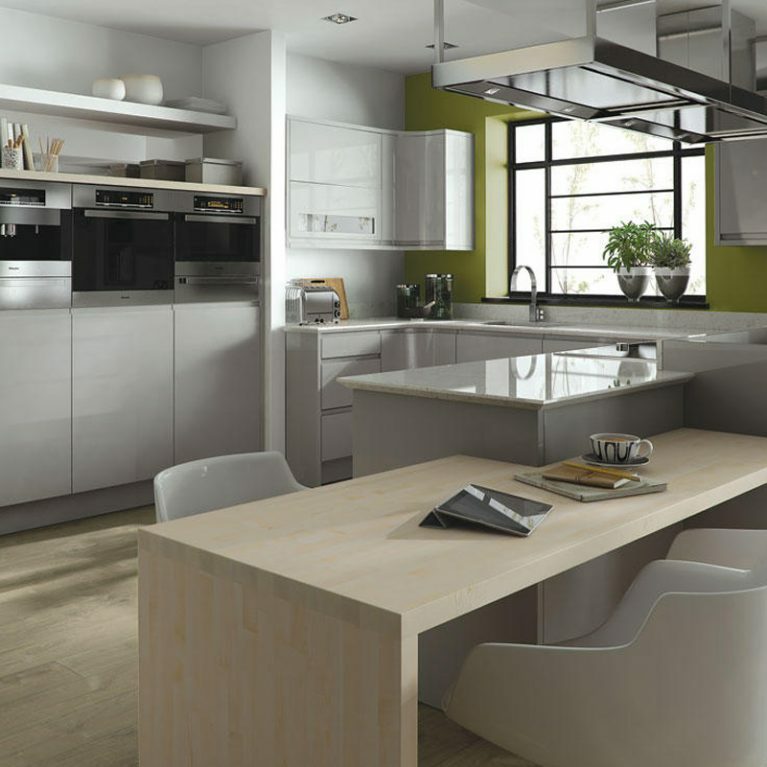 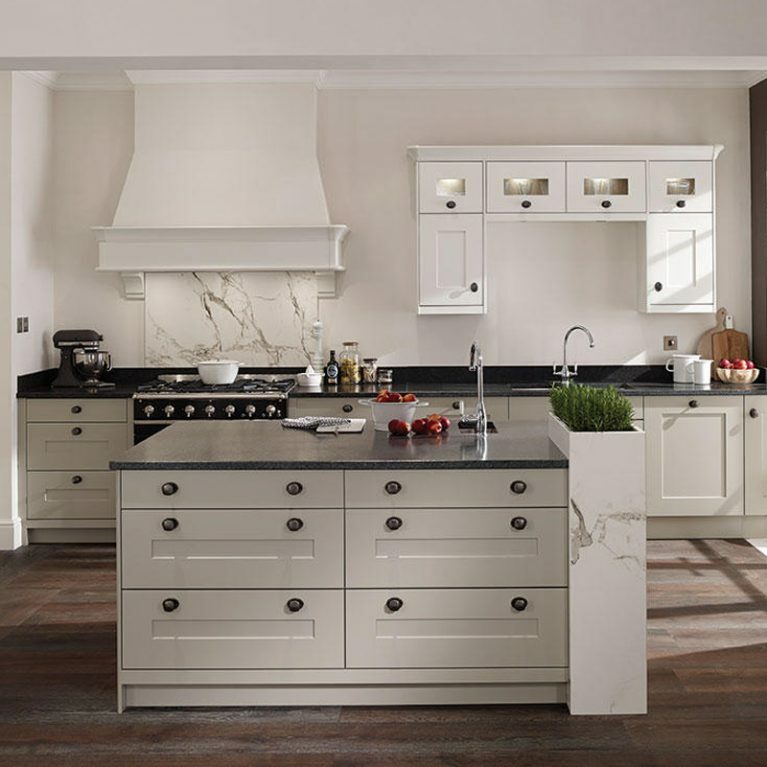 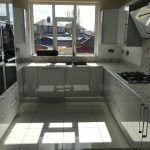 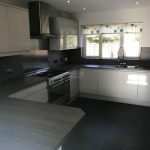 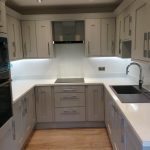 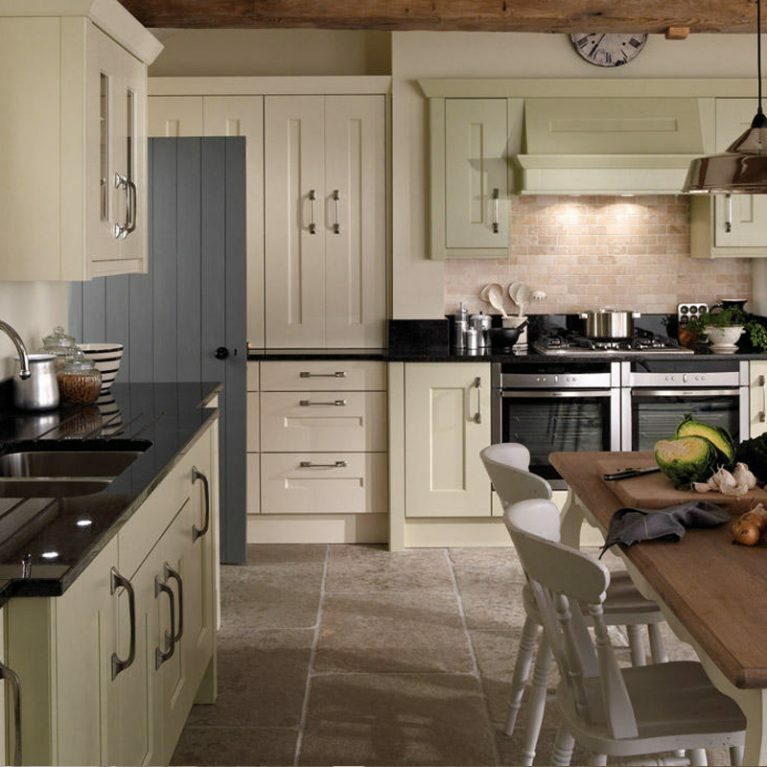 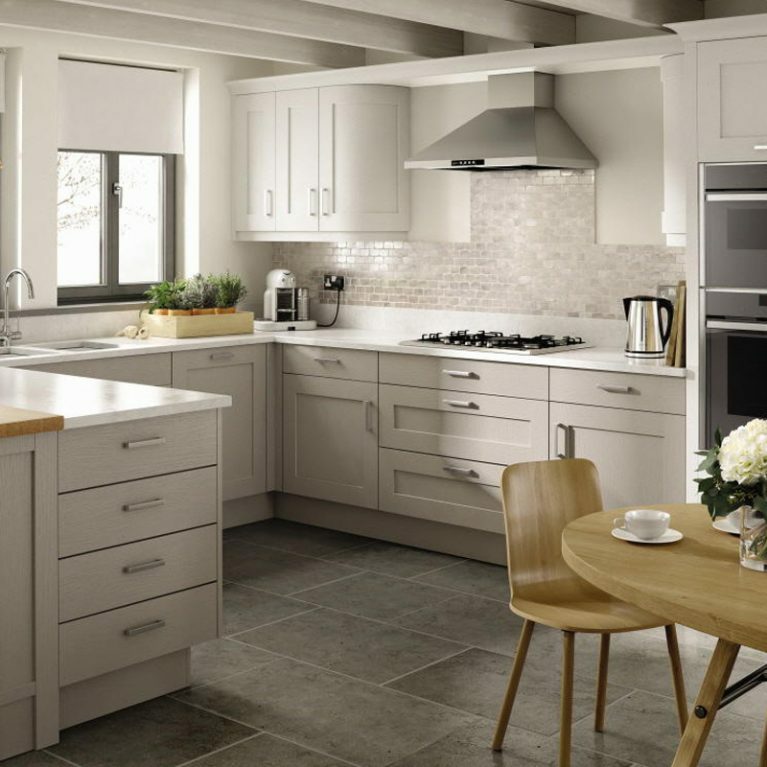 The Remo Matt White is a classy and contemporary kitchen design which utilises every corner of your kitchen to create a plethora of storage opportunities that will completely house all of your kitchen utensils and appliances, creating a kitchen which is every inch as practical as it is beautiful. 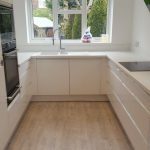 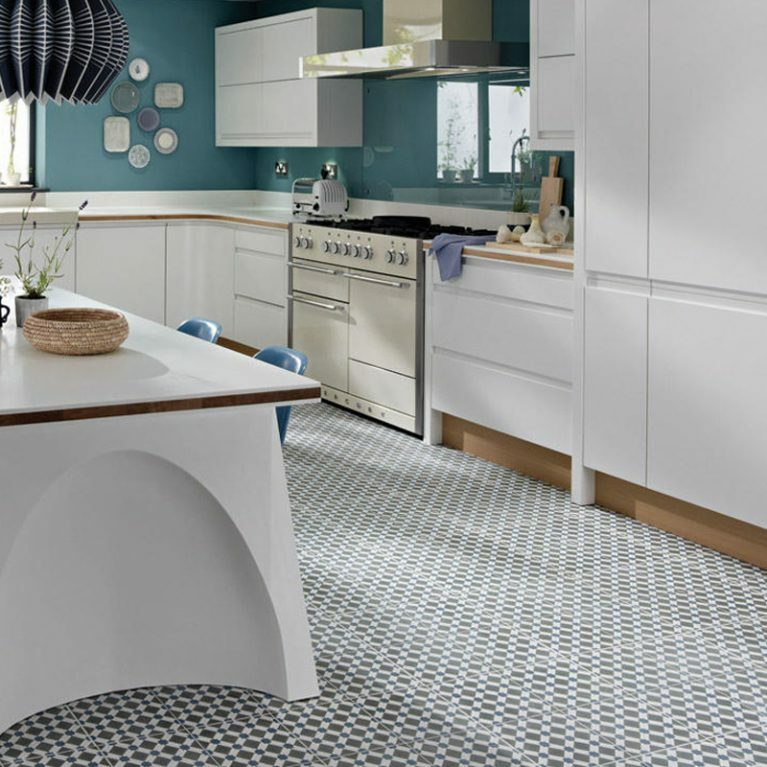 In a typical shaker-style kitchen design, the Remo contemporary curved matt white kitchen maximises storage in order to create a kitchen space which is perfect for your need. 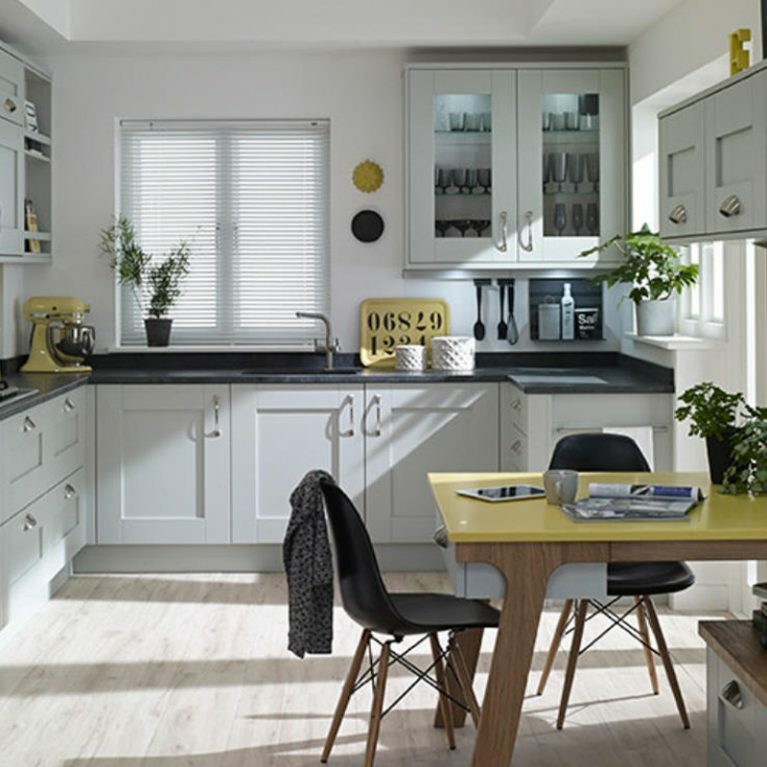 Whether you have a family to feed or you’re part of a couple, keeping a kitchen space tidy and clutter-free will allow you to truly make the most of your home. 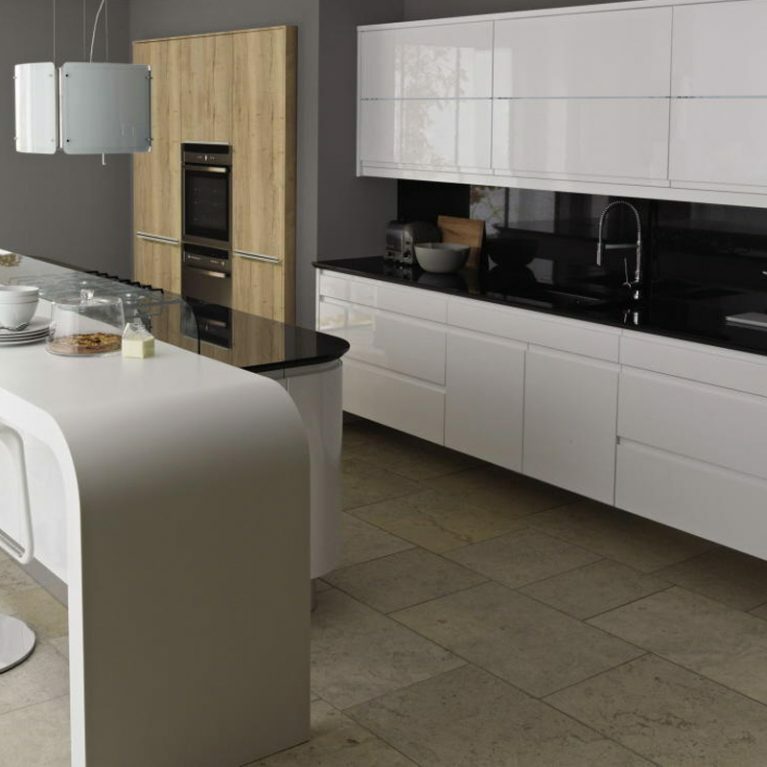 The cupboard doors of the Remo contemporary curved matt white kitchen are finished with an incredibly smooth and sleek finish thanks to their matt colouring, which creates a surface that is wonderfully simple to clean, keeping your Remo Matt White kitchen looking every inch as stunning as when you originally purchased it, for many years to come. 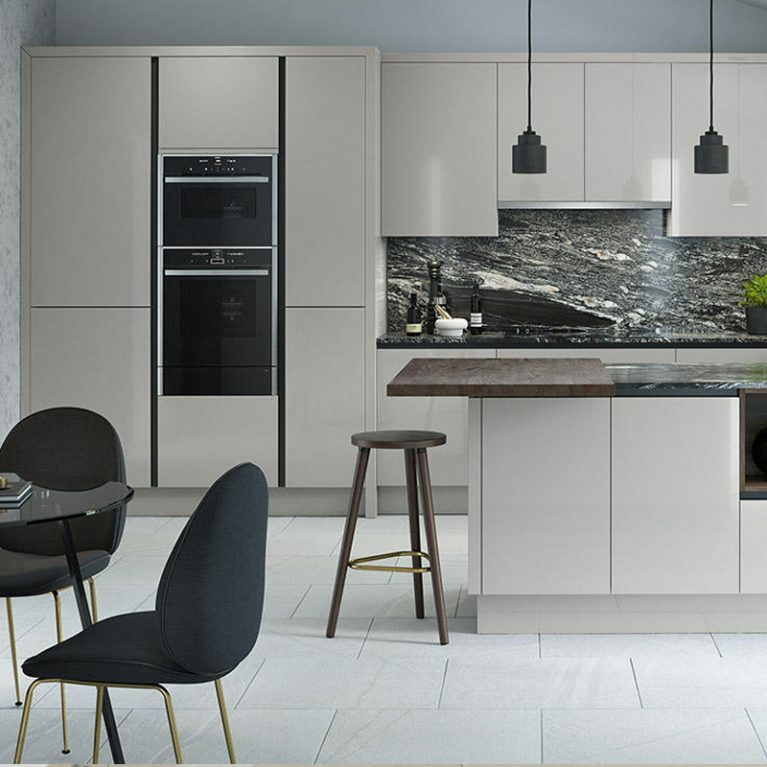 Finished with a host of cupboard options, including curved cupboard doors, you’ll get the most out of your kitchen space with the Remo contemporary curved matt white kitchen. 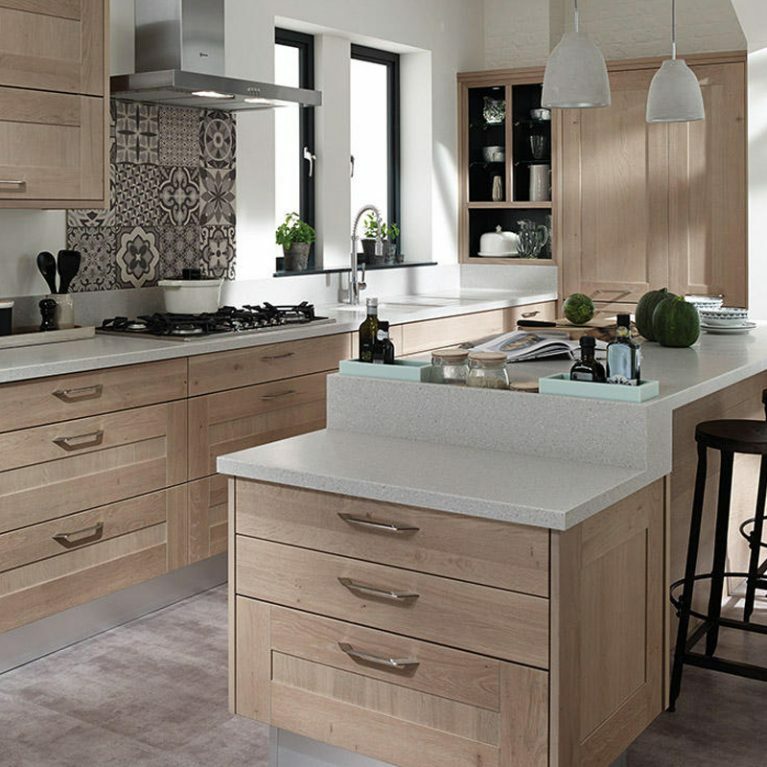 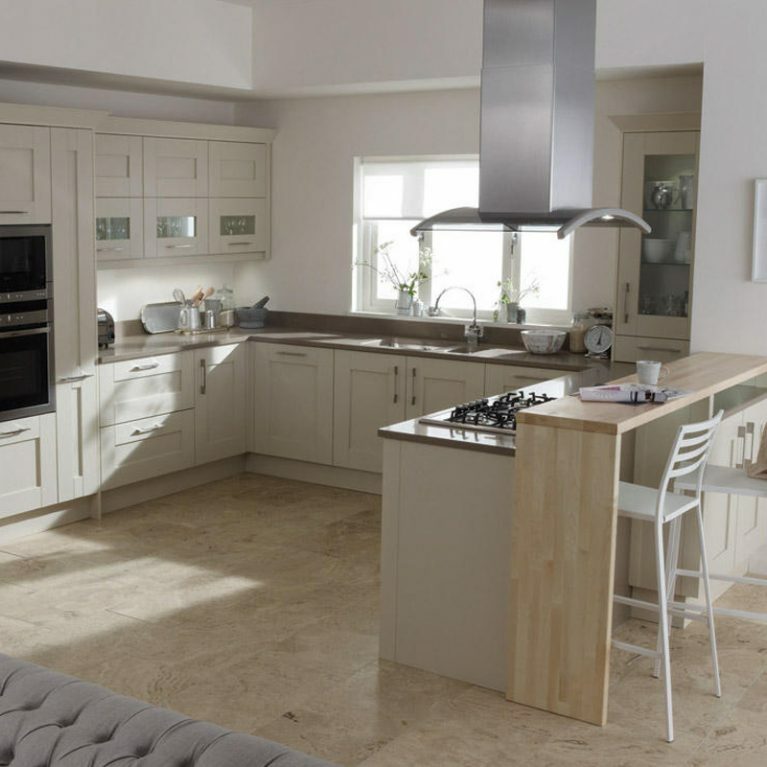 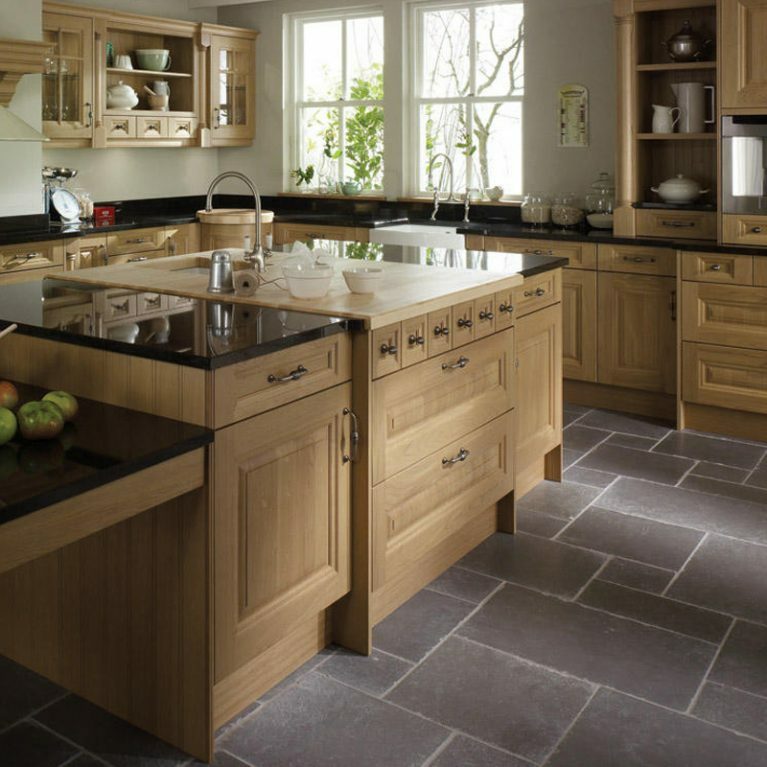 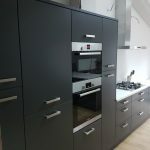 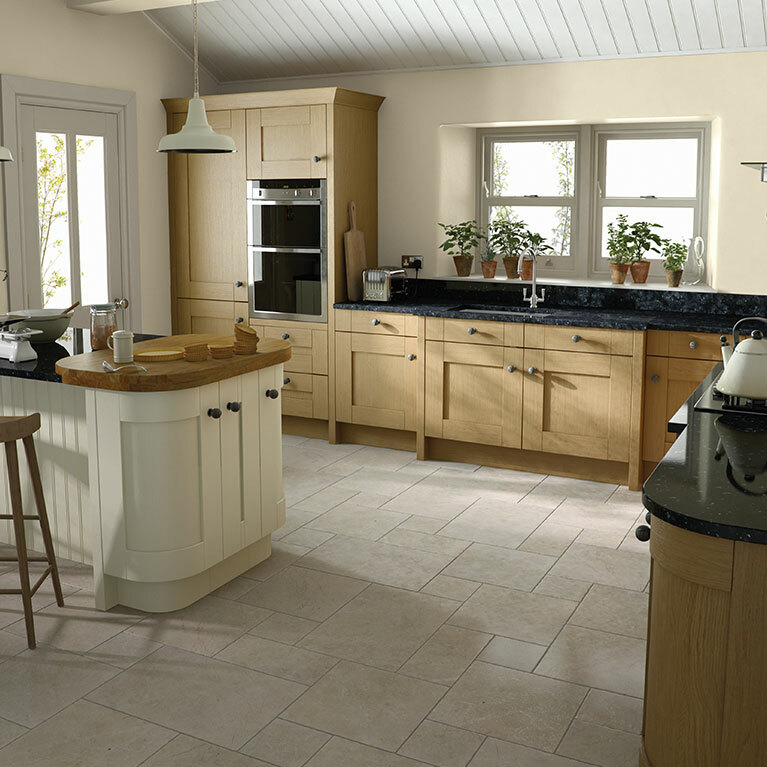 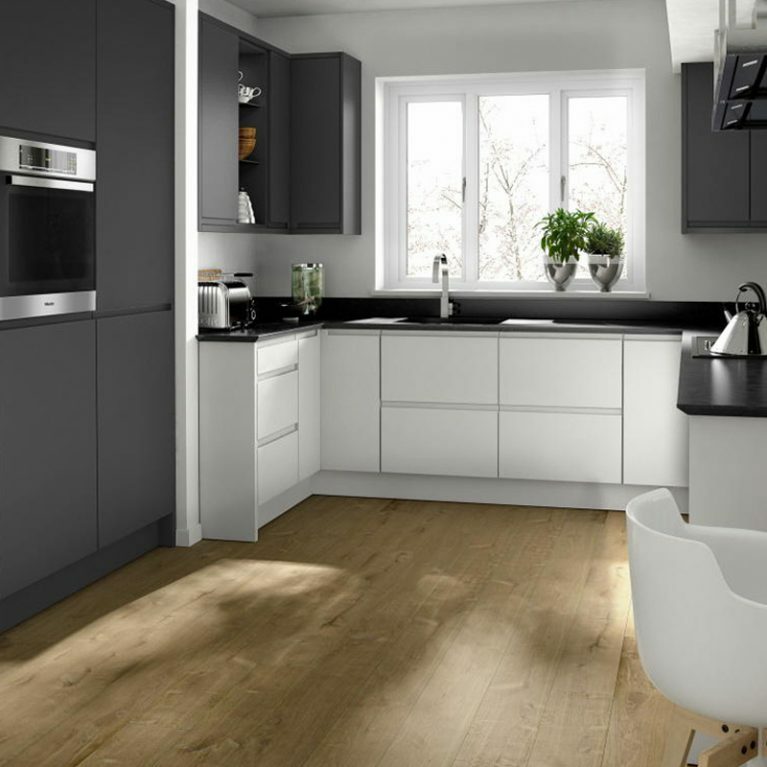 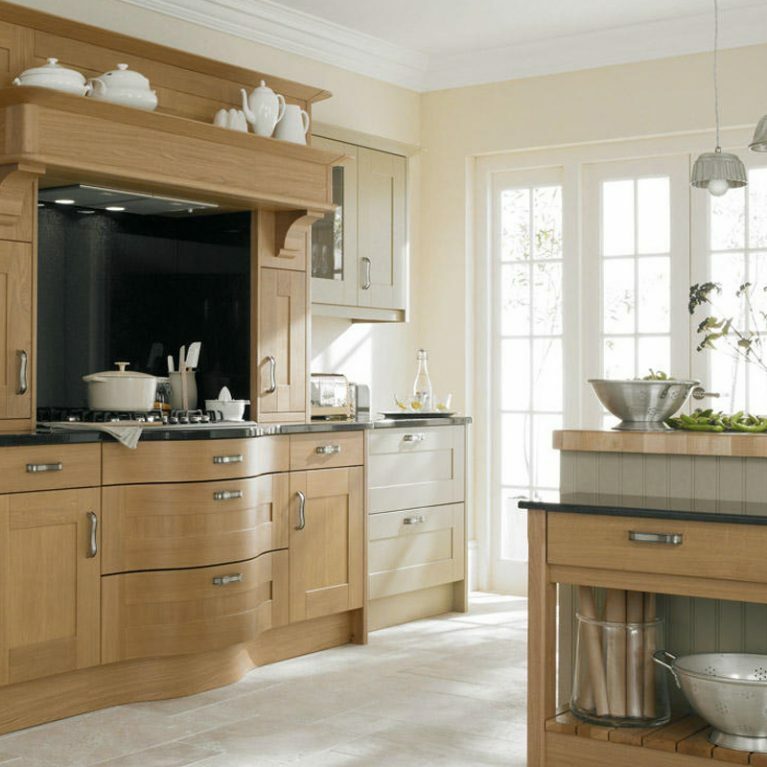 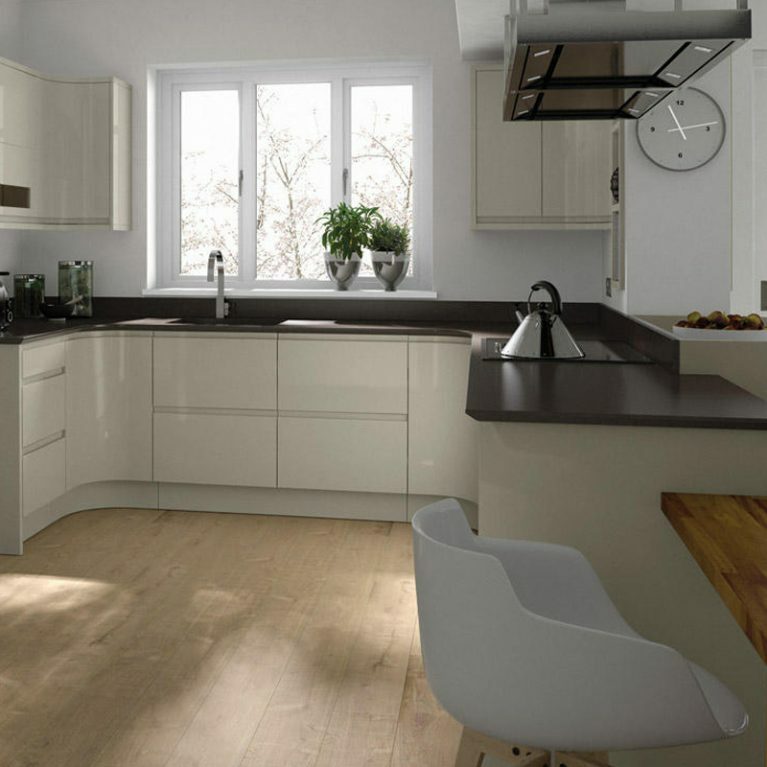 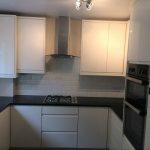 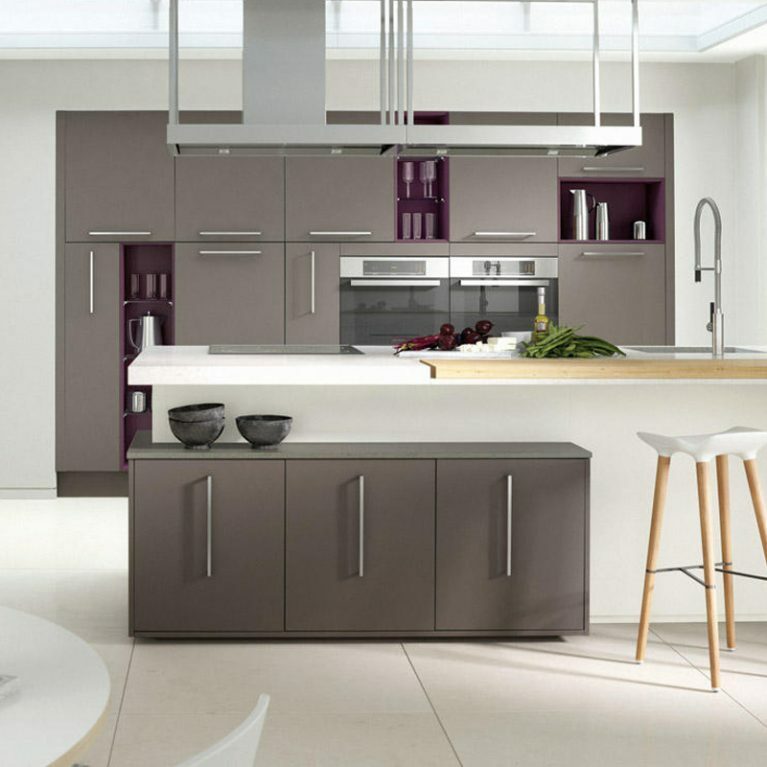 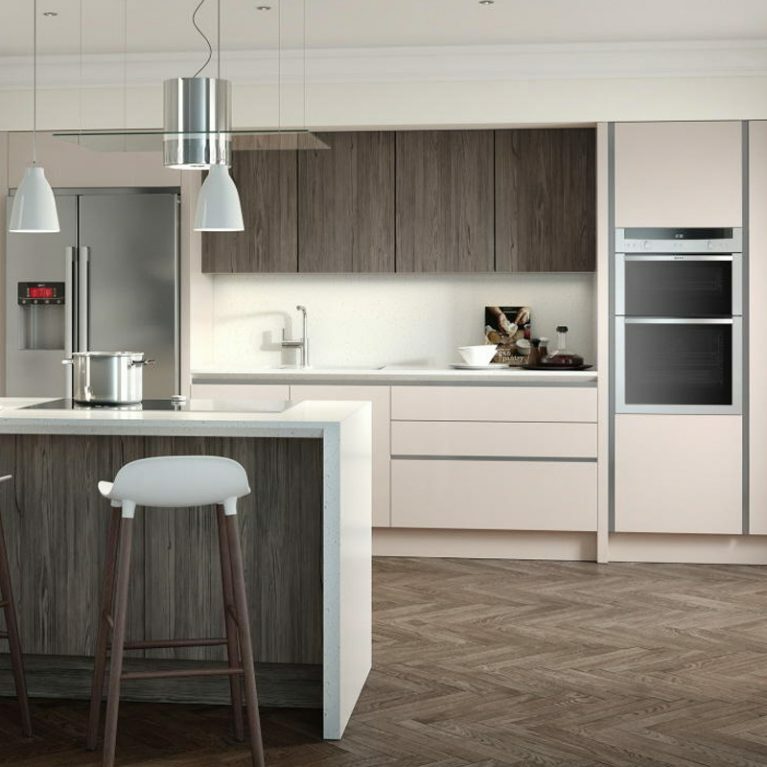 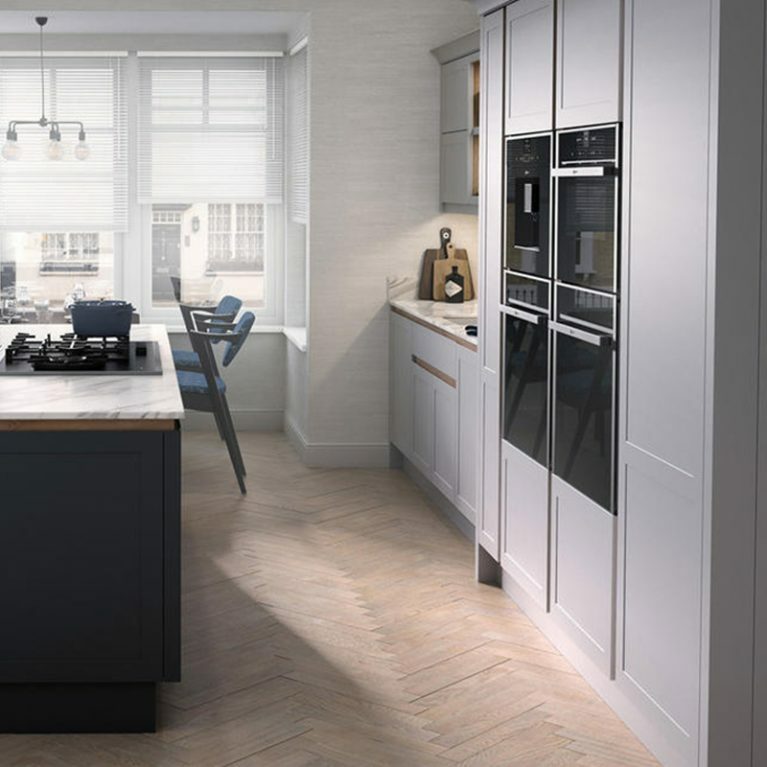 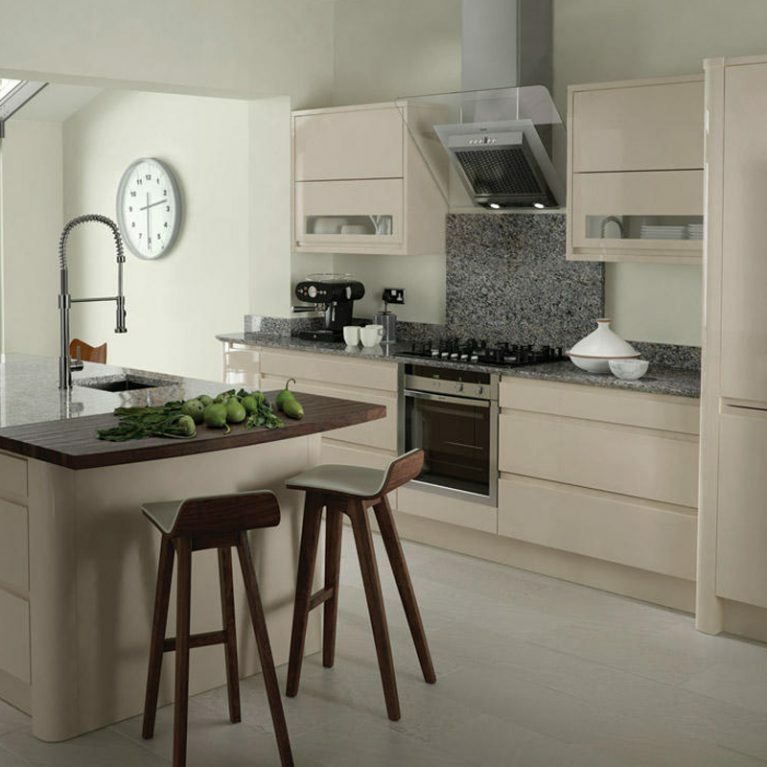 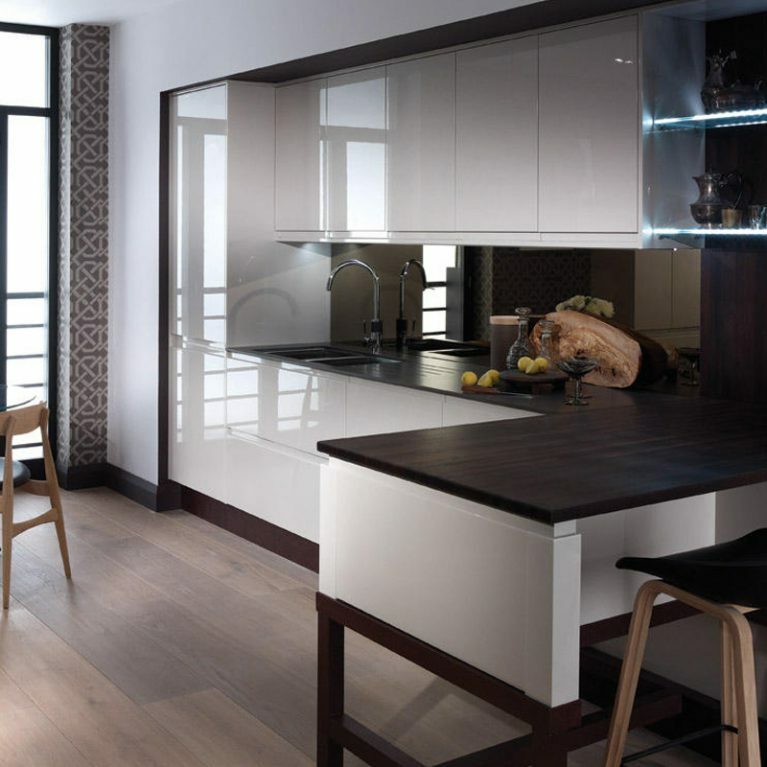 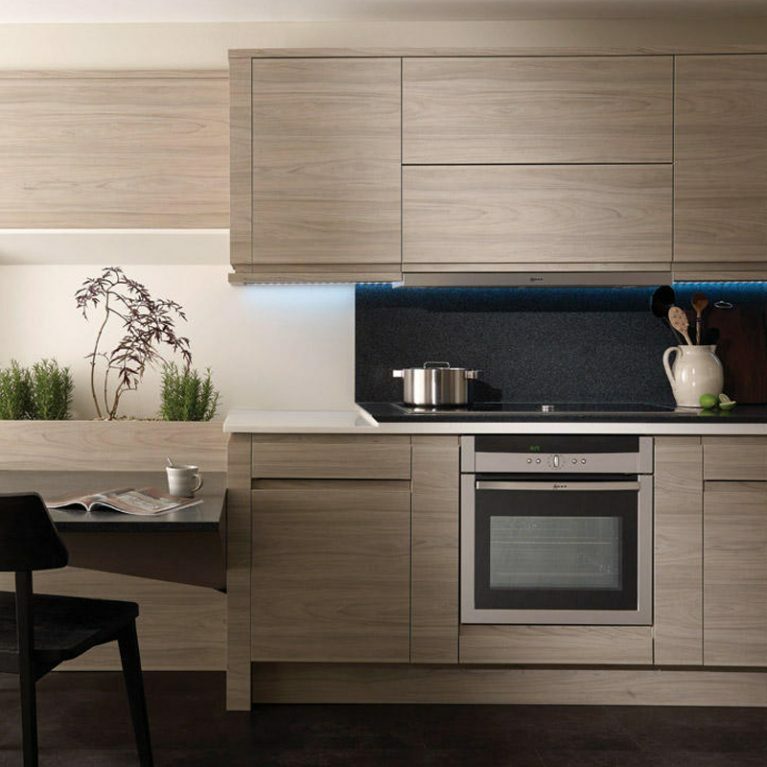 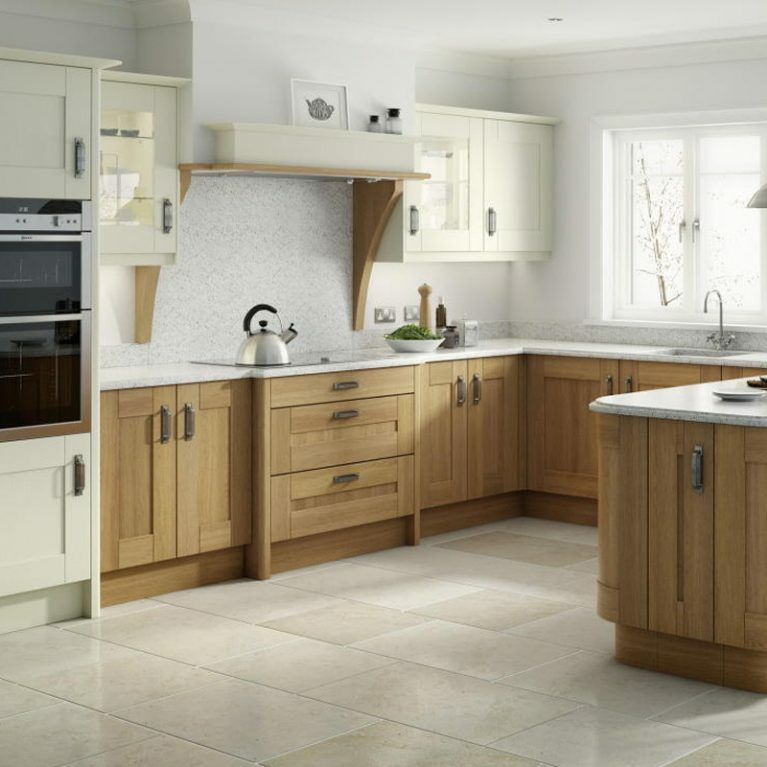 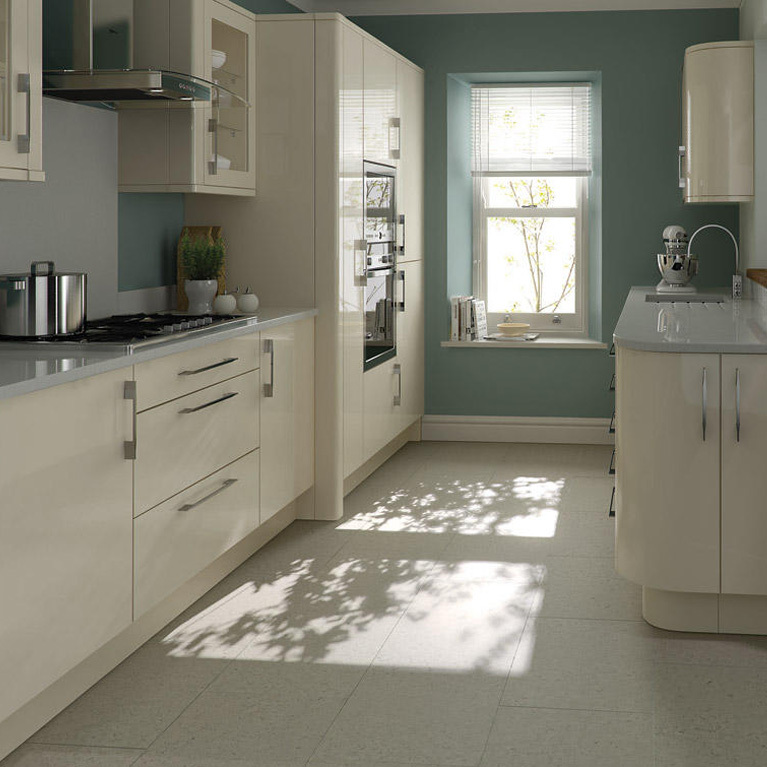 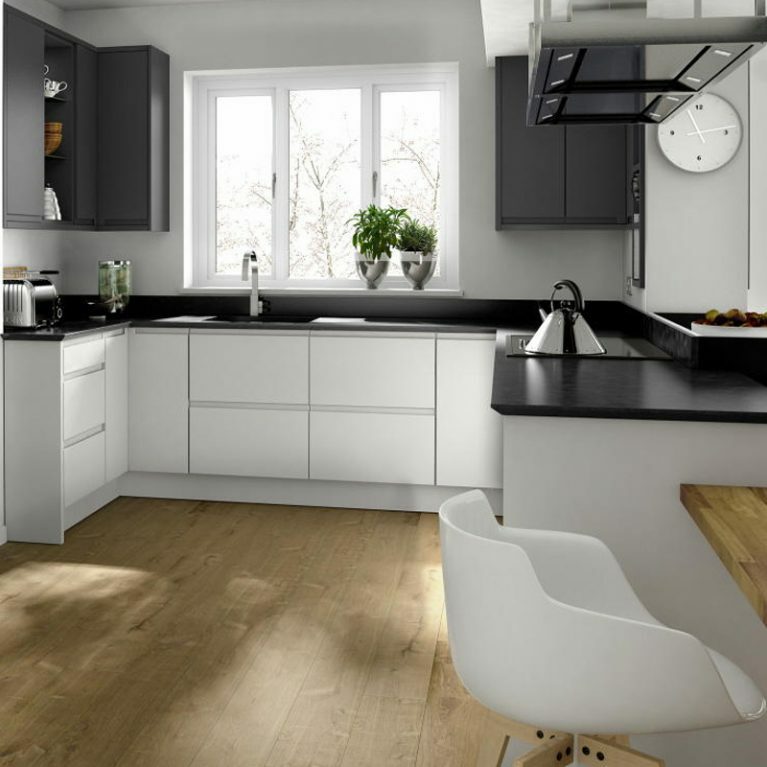 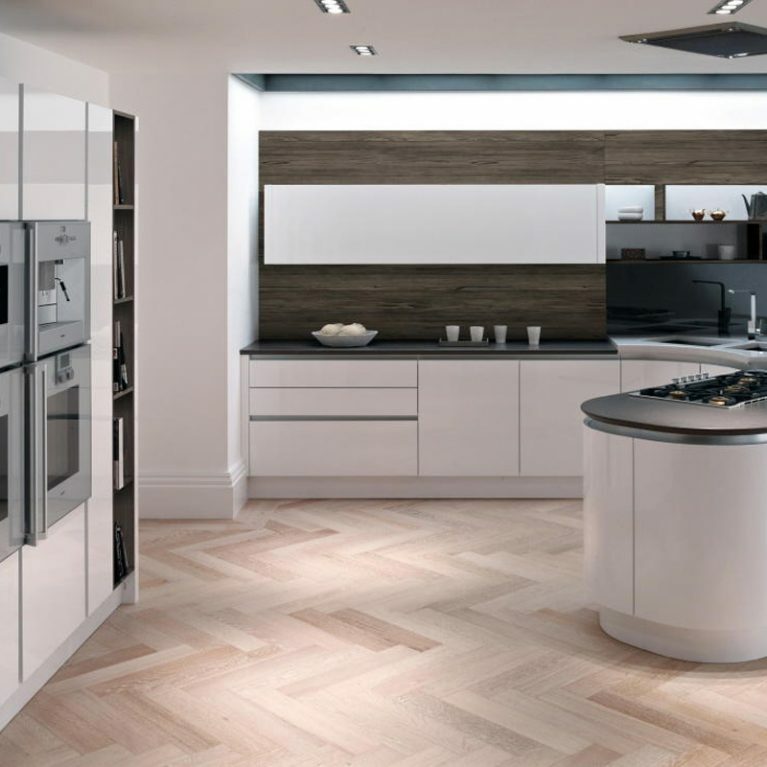 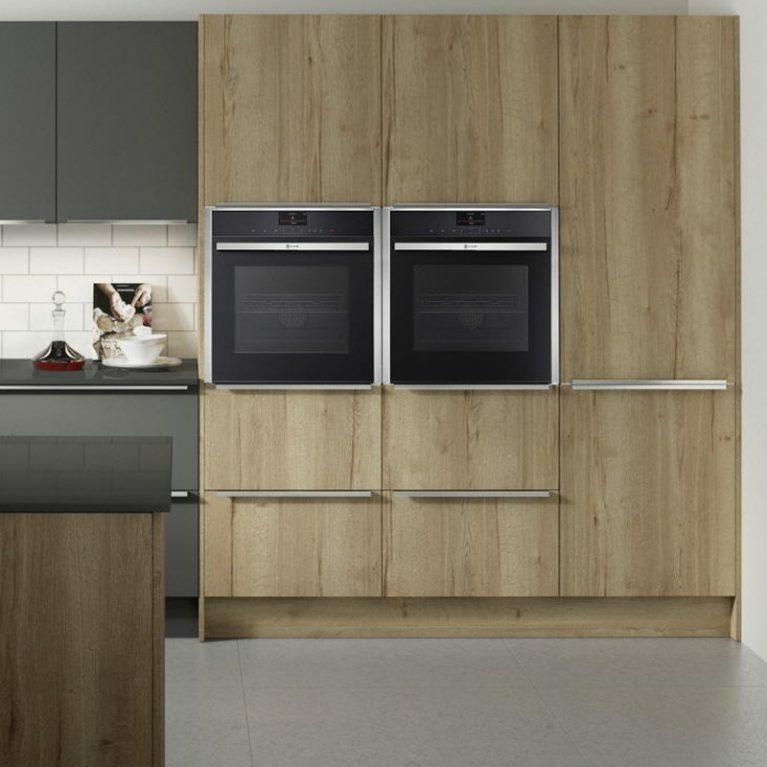 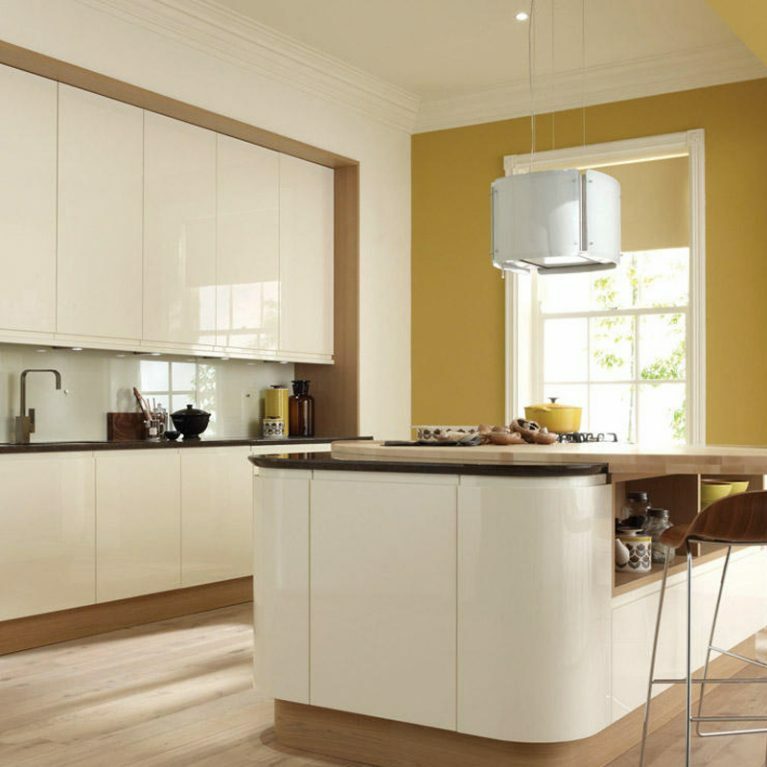 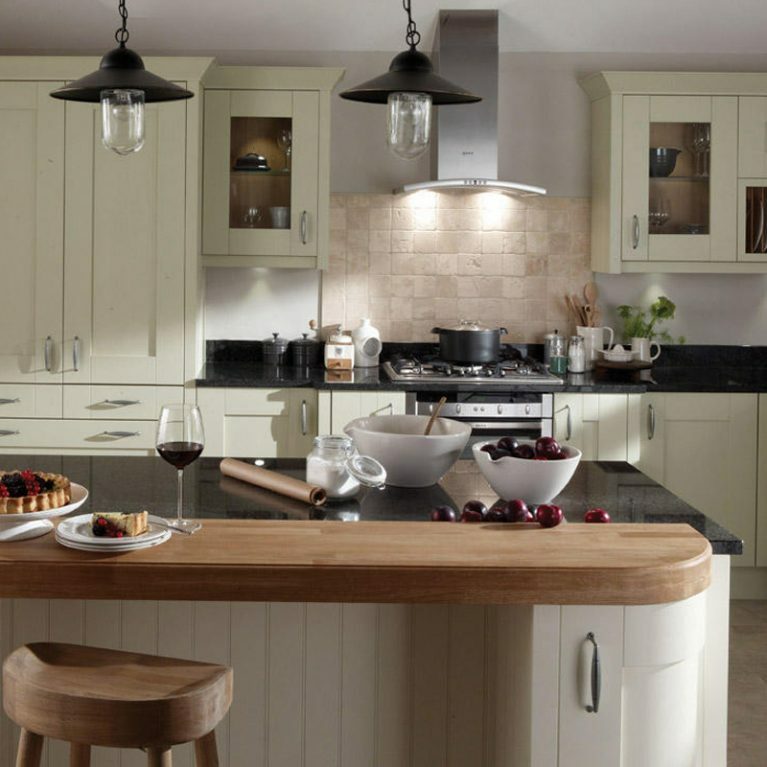 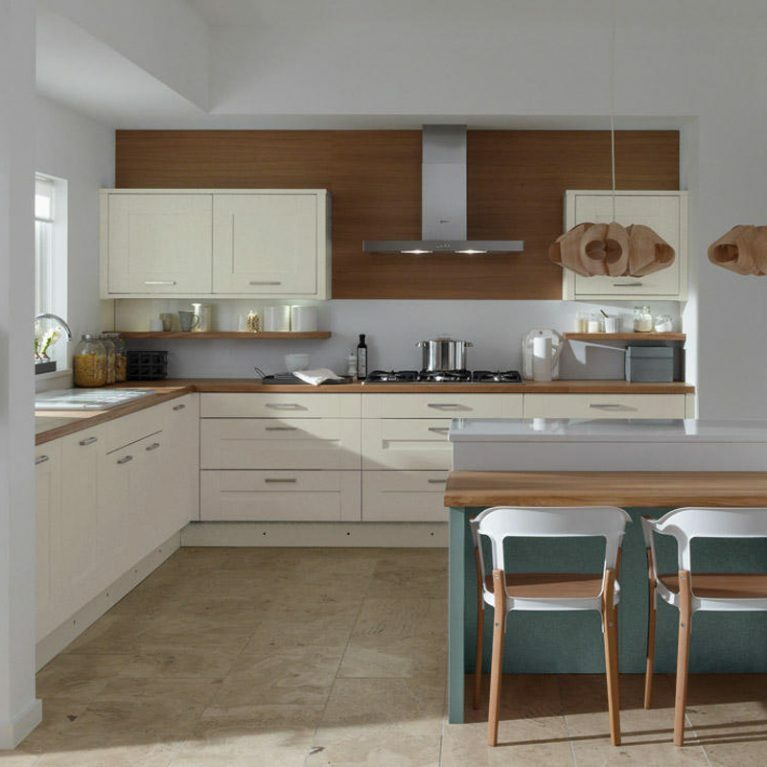 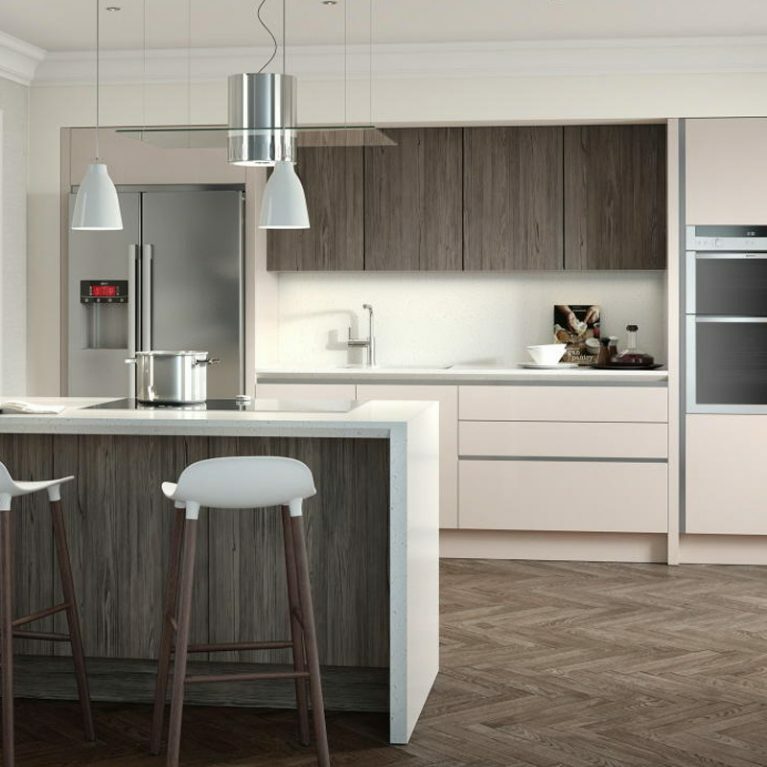 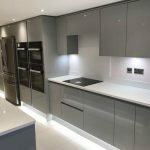 The cupboards seen featured in the pictures offer a mix of different handle options, from those which are built in to accentuate the smooth finish, to those doors which are completely handleless, in true modern fashion. 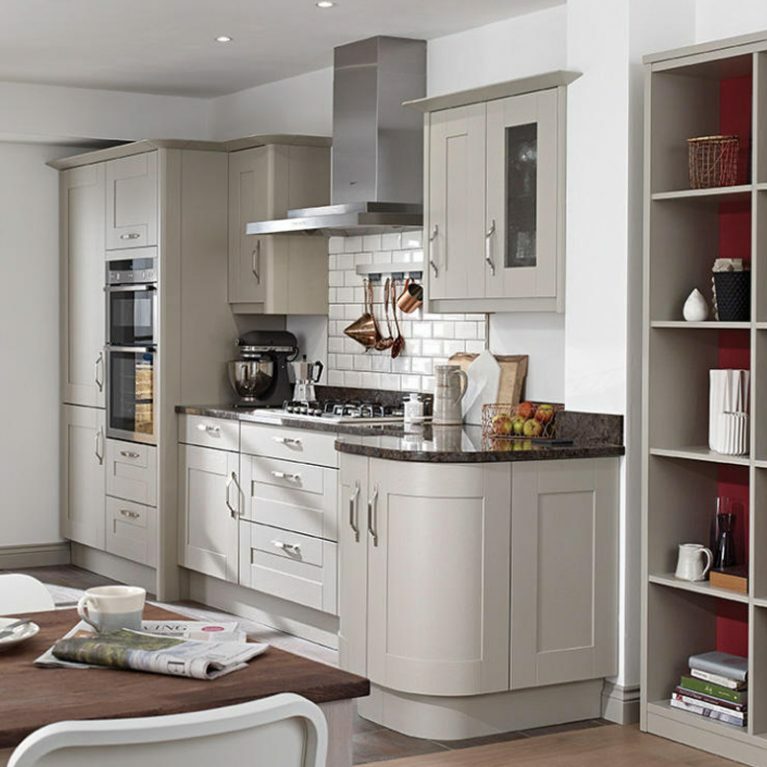 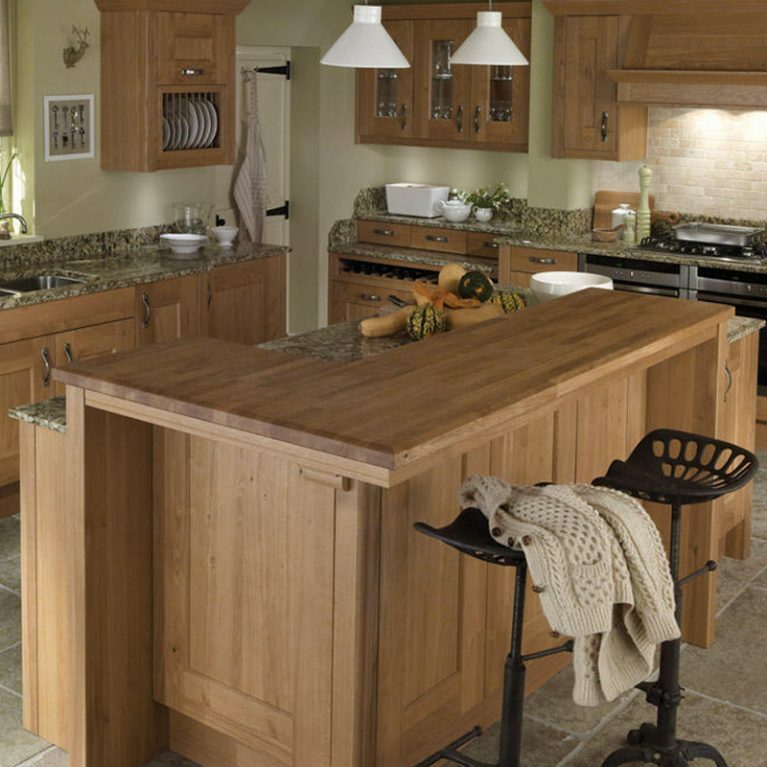 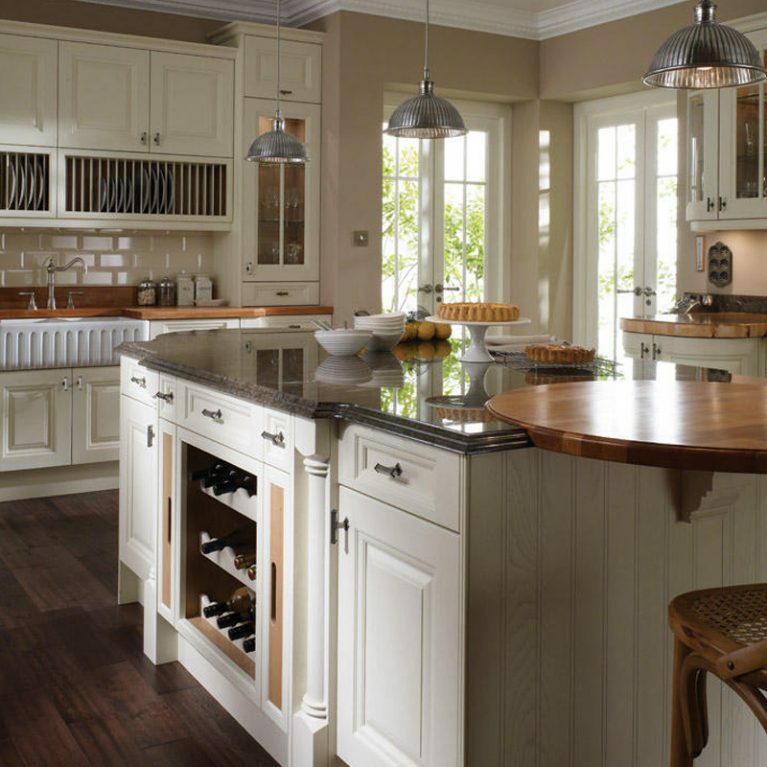 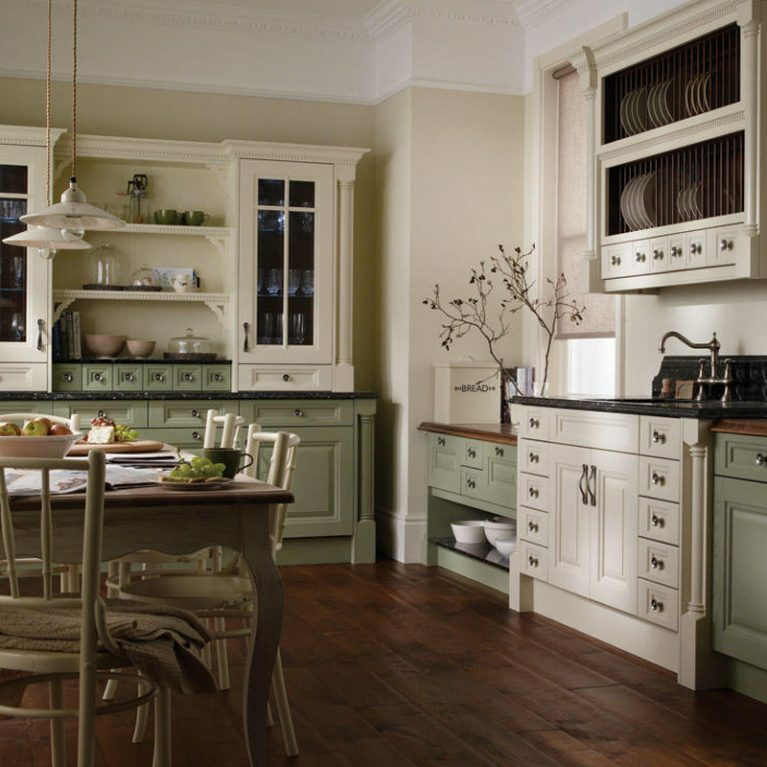 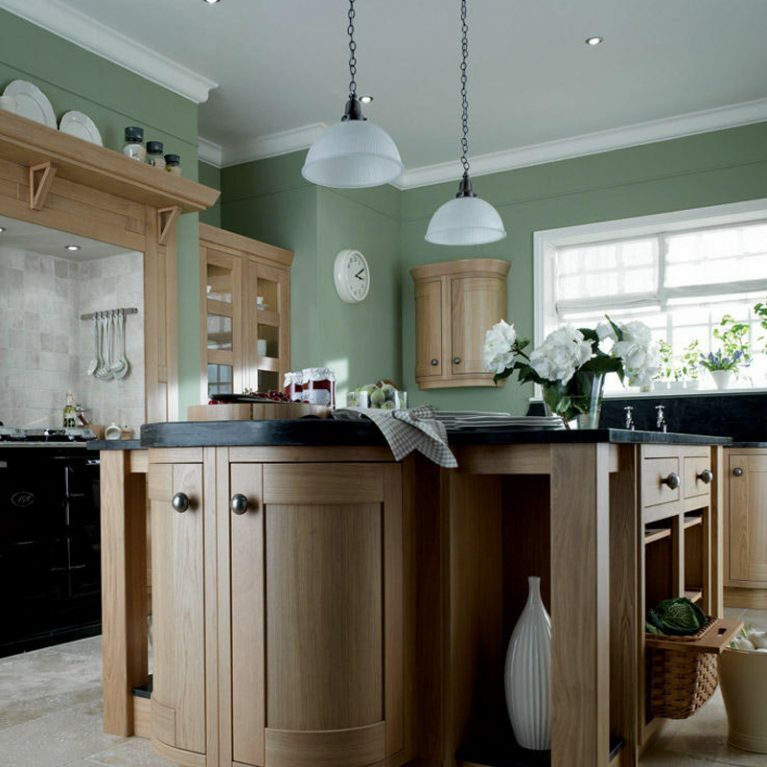 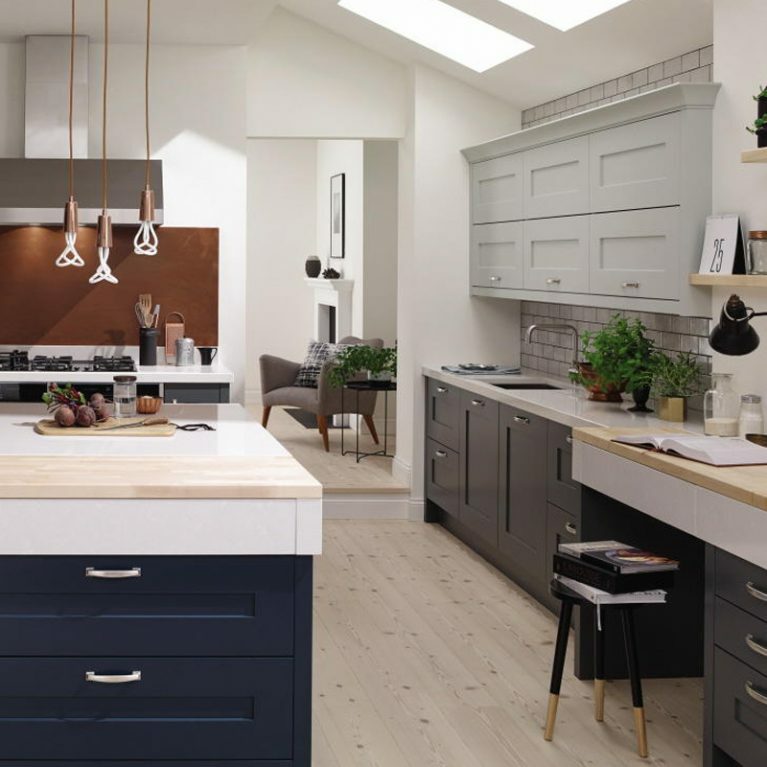 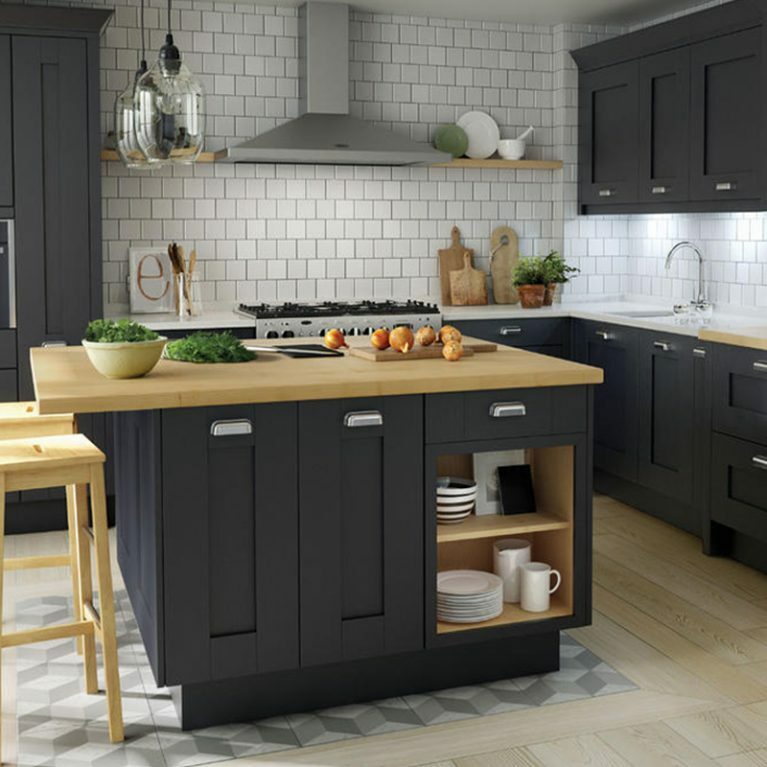 Upper and lower cupboard options are available, as well as a wonderful open-plan shelving system, which allows you to show off some of your more favourite kitchen accessories worthy of being on display. 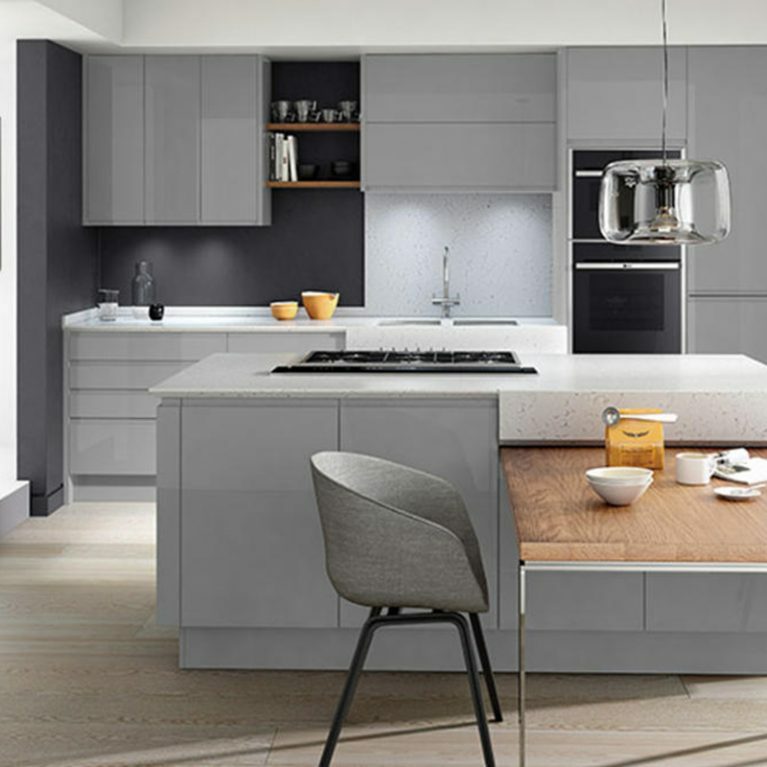 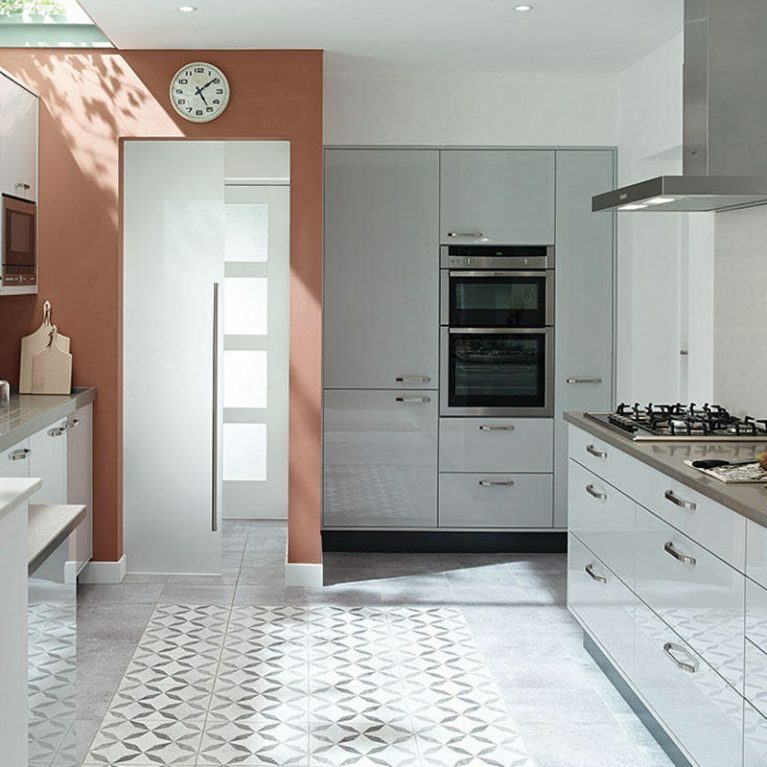 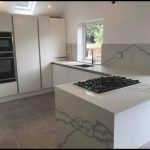 As with all of the Number One Kitchens designs, the Remo Matt White is completely customisable to your personal tastes. 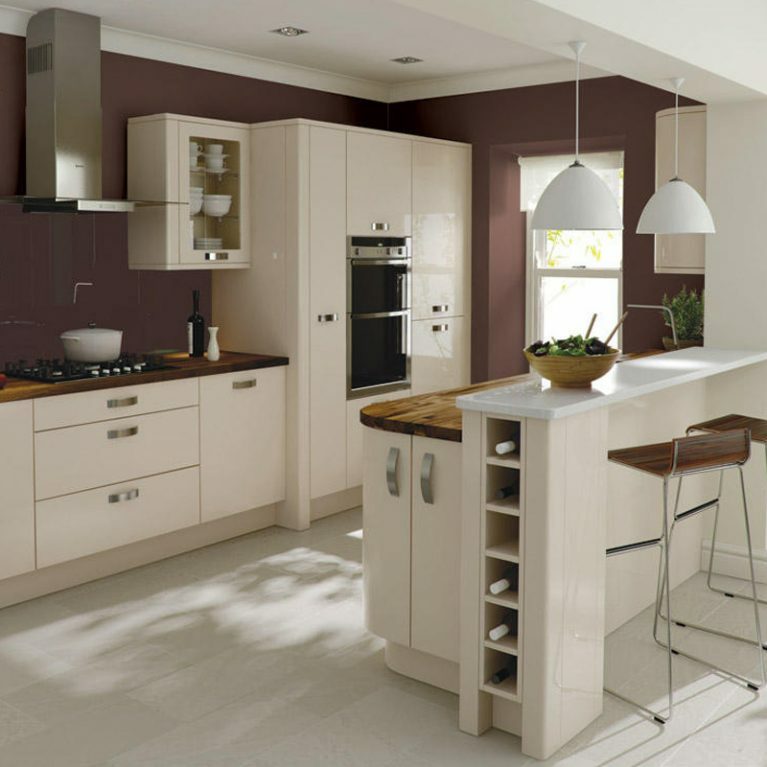 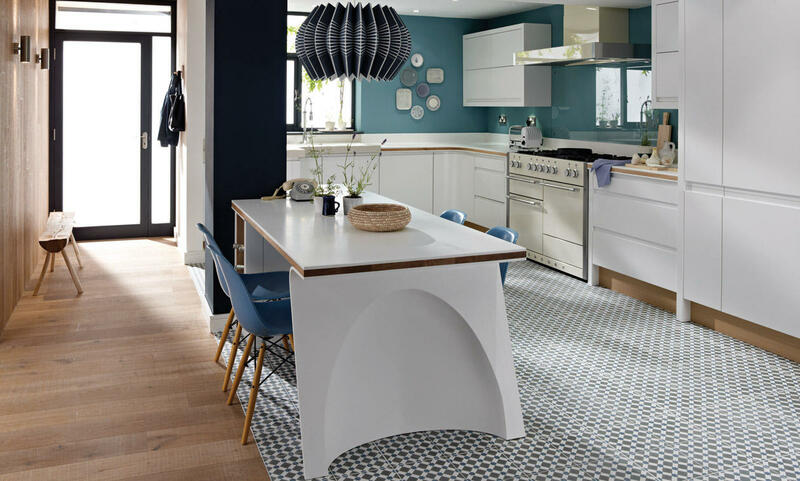 You can stick with the stunning matt white colour scheme at work in these beautiful pictures, or alternatively, select from 27 different hues ranging from muted to vibrant in either a matte or gloss finish, depending on what suits you.